The 2018/19 season marks the 20th year of partnership between FC Internazionale Milano and Nike. To celebrate, the club’s new home kit combines elements from two fan favorites of the past: the initial Nike kit of 1998/99 and the hugely popular 2010/11 kit. Enjoy! It all comes down to the wire for Inter Milan's 2017/18 season, as the Nerazzurri faces Lazio in the final Serie A match round in a clash that determines which team will make it to next season's Champions League group stage. Icardi & Co. will have to be on their top level to secure the spot, and next season it's also expected that Inter will be in the Italian top flight. 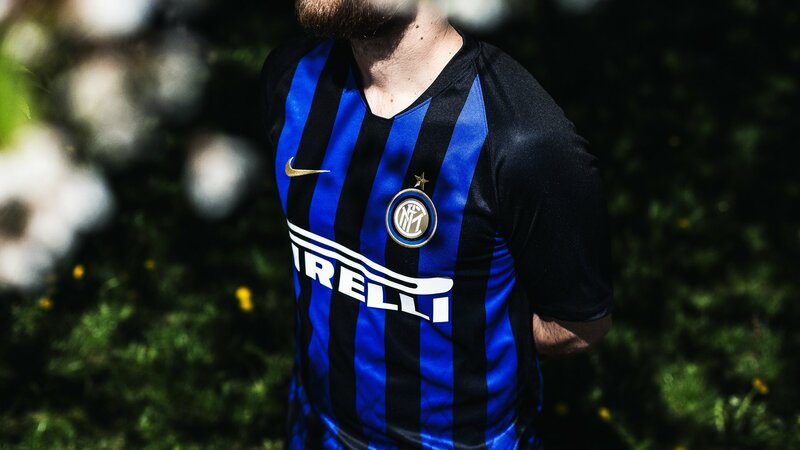 For next season's games, Nike has today presented Inter Milan's Home Shirt 2018/19 that introduces a classy black, blue and gold look. Compared to the 2017/18 season's Nerazzurri Home Shirt that brought a strange and asymmetrical take on the classic black and blue stripes, Nike has now returned to more traditional striping. In addition, the front of the shirt features a subtle graphic print, designed to look like the scales of a snake as a reference to Inter's 'Il Biscione' (The Big Grass Snake) nickname, which appears on the inside of the blue stripes, adding a bold touch to the kit. Finally, a golden Swoosh and 'Nerazzurri' complements the Inter Milan Home Shirt 2018/19, which is a nice homage to the kits from the late 2000s. Order your Inter Milan Home Shirt 2018/19 right here from Thursday 17th of May.